Gain access to Bench 300 PLUS over 50 other expert-designed fitness plans. Move from 225 for a few reps to a solid, smooth 300 with no guessing and no complex math involved. Each weight for each rep is laid out for you! Don't do too little, or just as bad, too much. Just do what the plan says, and you'll build an iron shield that'll move a heavy barbell with ease! 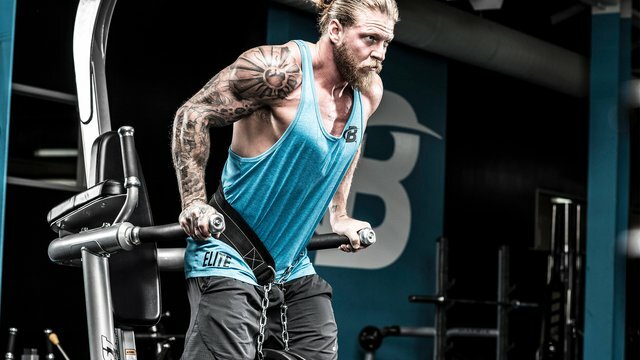 What keeps most people from hitting ambitious strength goals? Injury, terrible warm-ups, and a lack of mobility. This fast, effective mobility plan will have you getting more functional as you get stronger! Bench 300 has already changed thousands of lives. Here's what those who followed this program have to say. Just finished this program. All I have to say is "Amazing." It is like this program was designed for my body. I was able to bench 225 for 5-6 reps when I started. I put up exactly 305 in 12 weeks. This program was crazy. I've never gained this much this fast. When I started the program I was only maxing 245. 55 pounds gained is ridiculous. I am at week 11 and at my past workout I got 300 for 3 reps, easy. It is an excellent program that works because it confuses the body with flat bench, incline and dumbbells, and mixes up the weights. I had been stuck at 275 for many years after getting 320 back in my college days.